Sea Stopper(TM) is copyright and trademark protected by Gary Kassbaum since March 2004 and is currently under development as a patented product in North America, Europe and Asia for international distribution. 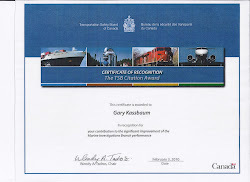 Contact Mr. Gary Kassbaum for further information at gary.seastop@gmail.com. Sea Stopper(TM) since the year 2004: We are packaging and producing an emergency hole closing device. Please see the video of our product on this website. Please also see a scan of our marketing brochure. Pleasure Boaters, whether Sail, Power and all types of water craft and Commercial Fishing Vessel Operators are most welcome to review and contact us for further information. In any case the "SEASTOPPER II' will be mentioned at the above site as an upcoming product(10' x 20' ) seal under Seastop Inc. and is the tanker/ship hole closing device. Each unit will cost approximately $34K and $8-9K to produce. The number of units carried aboard will roughly and invariably relate to the tonnage of the vessel. We feel that shipping companies can have their insurance premiums substantially reduced by the carriage of multiples of the SEASTOPPER II. The device in it's present form has electrical-mechanical attributes/properties with 'intelligent robotic’ stand-alone capability. The prototype is under construction. 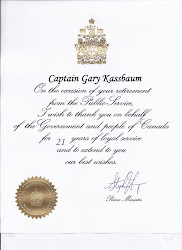 Captain Gary Kassbaum M.M.Sailed 4 oceans; captain of supply/survey ships servicing oil drilling rigs,ocean going tugs, small passenger vessels,dredging ships - performed 2 North Atlantic ocean rescue salvages; one with Lloyds Award; after as TSB Senior Regional Marine Investigator, Gov't of Canada; investigated shipping occurrences from 1990-2011,looked at 2000-2500 pleasure craft occurrences/year and lived aboard and owned a 46'power boat and 22' sailboat/ sailing all his life; Deputy Master, Great Lakes and Seaway-Company of Master Mariners of Canada - 9 years.